When someone dies in Florida, the courts and legislature’s goals are to distribute the decedent’s estate according to the decedent’s wishes. This often means that the court wants to distribute the estate to the decedent’s beneficiaries according to the Will. However, a beneficiary can challenge a decedent's Will in court for several reasons. These challenges to a decedent's will are known as a Will contests in Florida. When a Will is contested in Florida, the proceeding is an adversary proceeding according to the Rules of Florida Probate 5.025. The person challenging a Will files a lawsuit in the probate court. Florida Statute 732.518 makes it clear that one is not permitted to challenge the Will of someone who is alive. A Will contest can only occur after an individual dies according to Florida Statute 732.518. Once the Florida probate court accepts the will, the court can then appoint a personal representative to the estate. The personal representative has many duties. He or she must send a Notice of Administration to all beneficiaries as well as a notice to creditors. Once a claimant receives a Notice of Administration, he or she has 90 days to file a lawsuit to contest the Will. When is a Will Contested in Florida? 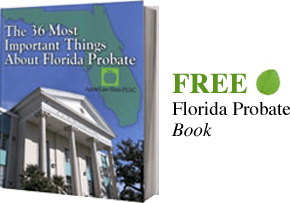 There are several reasons a person can contest a Will in Florida probate court. One of the most common reasons for bringing a Will contest is when the decedent did not properly execute the Will. Florida has very specific rules that regulate Wills and Trusts. If the decedent made a will in Florida and did not execute the document correctly, then the probate court will administer the estate according to a former Will or by intestate succession. Florida will administer an estate by intestate succession when a person dies without a Will according to the Florida probate code and Florida Statutes. This means only certain family members will receive the estate, and they will receive only a certain percentage of the estate which is defined under the Florida Statutes. Florida Statute 732.502 is one of the statutes that declares some of the rules necessary to execute a Will. The document or will must be in writing. Two witnesses must also sign the Will in the presence of each other and the testator (the person who creates the will). While the signature requirement seems rather minor, Florida courts declared many Wills invalid for failing to have a signature. Second, the person making the Will in Florida must be of sound mind and 18 years of age or older. Further, this person must have a present intent to make the Will. So what exactly does “sound mind” mean? The Florida Supreme Court has defined this term to mean a person’s ability to understand the nature and extent of his property, the relationship of those who would become beneficiaries to the estate, and the practical effect of the Will. The mental capacity needed to make a Will in Florida is a lower standard than capacity in other legal fields. Probate courts presume the person making the Will has the proper capacity. Further, a challenger must prove the testator did not have capacity on the day he or she signed the Will. This means a court could find a testator did not have capacity on the day before or after the testator signed the Will, but this person did have capacity when he or she signed the Will. A challenger must show the testator’s mental incapacity was continuous, or that the testator suffered from an insane delusion. An insane delusion is when a person has a fixed false belief without a hypothesis, and this belief has no foundation in reality. For example, if a person creates a Will under the influence of a strong medication, where they no longer have a foundation in reality, then a court is likely to find the Will invalid. The person claiming undue influence in Florida has the burden of establishing the presumption of undue influence. The challenger to a will can accomplish this by showing the influencer is a substantial beneficiary under the Will, occupied a confidential relationship to the decedent, and was active in procuring the Will. A court will consider the influencer to be active in the procurement looking at several factors. Factors of active procurement may be if the influencer was present at the execution or at times when the testator expressed a desire to make a Will. Another factor may be if the influencer recommended the Will, or if he or she knew the contents of the Will before the testator executed the document. Still additional factors the court looks at are if the beneficiary secured the witnesses, possessed the Will, or gave instructions to the attorney. These factors become important, because if enough of the factors of undue influence are present, the presumption regarding undue influence shifts to the other party. If you need help with the Probate of a family member who resided in Florida or feels that there is something wrong with the way a Florida Probate is being handled, or your assets have not been dealt with fairly, CONTACT our Jacksonville Florida Probate Lawyers by email or call us at 904-685-1200 to discuss your situation today.